SALAMI had his Primary and Secondary School education in Lagos before proceeding to study Insurance at The Polytechnic Ibadan, Oyo State where he obtained Higher National Diploma in 1993. He completed the Associate ship Qualifying Examinations of The Chartered Insurance Institute of Nigeria in 1994 and was subsequently inducted in 1995. Prior to this in 1994/95, he responded to the clarion call by observing the mandatory one year National Youth Service Corps in Bauchi State. 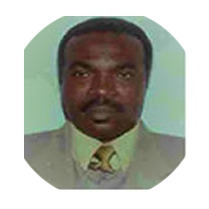 He started his working career with Hogg Robinson Nigeria in May 1995 as an Established Staff and grew to Manager Grade before being as an redeployed to Medexia Limited in April 1998 as Medical Scheme Administrator. He also added a feather to his cap in 2015 by completing Masters in Business Administration programme (MBA – Marketing Management) in Ladoke Akintola University of Technology, Ogbomoso and by virtue of this, was appointed as an Associate Member of the National Institute of Marketing of Nigeria. As at date Olanrewaju has grown to the position of Assistant General Manager in Medexia Limited. He is happily married with Children. ADERETI SAMSON was born in January 1962 at Ile-Ife. Health Sciences, as well as Bachelor of Medicine and Bachelor of Surgery in 1987. He worked with Oyo State government and Osun State government where he rose to the rank of a Principal Medical Officer. He has been the head of several State owned Health Institutions and later became the first Osun State coordinator of Malaria programme in 1998 before he left the State government service for private endeavors. He joined Medexia Limited in 2003 as a Medical coordinator and has been involved in Hospital Inspection, Quality Control, Programme design and implementation as well as Health Education & Counseling for the enrollees. He is currently the Assistant General Manager in charge of Providers Management, involved in Accreditation, quality inspection of the hospitals and other providers under Medexia Scheme. He is happily married with Children. 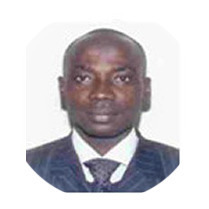 MOTUNRAYO is currently the head of Information Technology at Medexia Limited since January 2012. She holds a degree in computer Science from Federal University of Technology, Akure. She is an Oracle database professional from Oracle University USA. Presently, she is undergoing a master degree in Information Technology in Ladoke Akintola University of Technology, Ogbomoso. She is a member of Nigeria Computer Society (NCS) and also an Associate member of Nigeria Institute of Management (NIM). Her professional focus are in software development, Database application, Project implementation management and website evaluation. She is happily married with children.